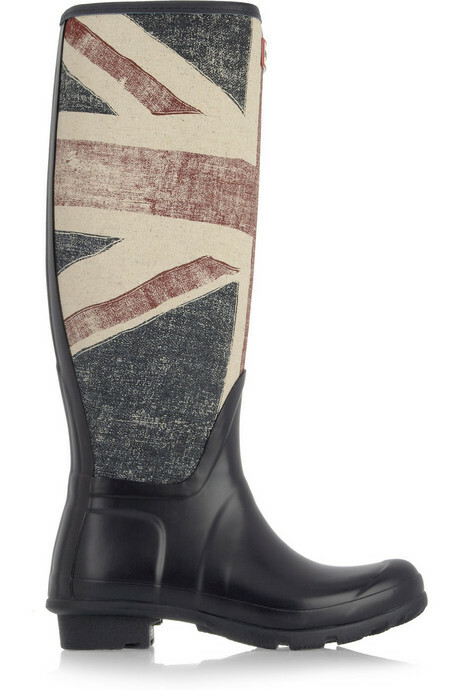 Today's So Shoe Me is the Vintage Union Jack Print Wellington Boots by Hunter, $220, available at Net-a-Porter. Patriotic prints are popping up everywhere - whether it be a pair of stars and stripes cutoffs or these Union Jack wellies from our favorite high end retailer across the pong, these traditional prints are adding an edge to everyday style. 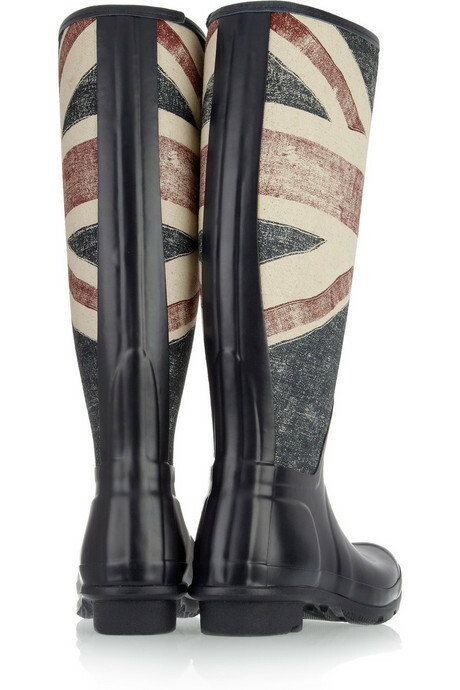 The iconic Hunter boot with a charming vintage Union Jack design create a must-have design that will amp up your personal style with all the comforts of a cozy wellie, perfect for rainy days, festivals or just running around town. The classic red, white and navy colorway and vintage-esque print keep the casual feel of this boot which can easily be worn with classic denim or a chic leggings. The durable rubber sole and upper will keep your boots in pristine condition whether you wear them in rain, mud or shine. Pair these with brit-tastic wellies with a pair of denim cutoffs, black crop crochet top with a bikini underneath and a daisy chain head piece for comfortable and cool festival fashion. 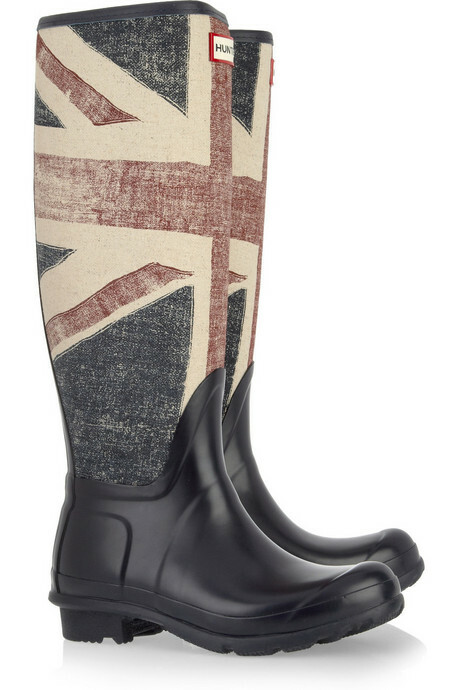 So Shoe Me a pair of traditional wellington boots with a little "brit" of edge with an iconic Union Jack print. i wish they were cheaper i love them!!!!!! !